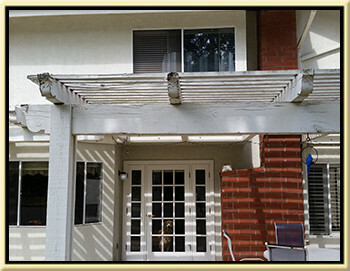 South County Roofing is a local roofing Contractor that can help with all your roofing, roof repair, tune ups, inspection, and broken tile replacement estimates for Irvine, Tustin, Lake Forest, and Santa Ana areas. 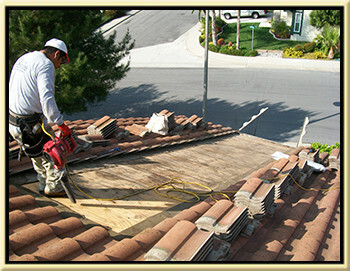 South County Roofing has been serving Orange County since 1997. 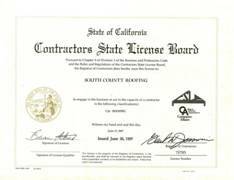 That is when we became licensed with the Contractors State License board with a C-30 Roofing license and insured with Worker's Compensation insurance. Having a C-39 license is different from other license classifications. Only the C-39 classification allows the holder to do a roofing service by itself (meaning no other trades are required to complete the job). It is what they call a specialty license. In order to bid a roofing project all by itself you must have a C=39 license. General contractor are not allowed to bid on any roofing job that doesn't require three or more different trades. This means they cannot bid on a roofing or roof repair job by itself. 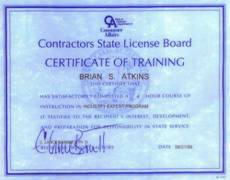 In order for it to be legal for a general contractor there must be two additional trades needed such as plumbing or electric work. As a completely licensed and insured roofing company servicing all of Orange County we offer Irvine home and building owners help with replacing your broken roofing tiles. We can also secure any loose or slipped tiles. This can happen due to high winds impacting your roof or simply because of wear and tear to the roofing and roof tile themselves. When it comes to tile roofs we do just about everything for them. We can fix any leaks that may pop up and do any of the necessary maintenance that tile roofs require at some point on their life. Performing the necessary roof maintenance is crucial to get the maximum life expectancy out of your roof. Home builders are required to warranty your roof for Ten Years. That means the standards and products they use are of a quality that will last at least ten years. And, they usually do last at least that long. But, your roof may last a lot longer. This means a little well done maintenance will go a long way to you getting the most out of your roof. Roof inspections are a very important part of buying a new home. Having the roof checked out by us will ensure that you do not get stuck with costly repairs or unexpected leaks. Our inspections include checking the walls and ceilings on the inside of the home with a high powered flashing in order to inspect for roof leaks. Roof leak will leave a brown stain on your wall or ceiling and a trained eye will know here look. We also look for wall or ceiling repairs that may give us clues to a previous roof leak. Spotting previous wall or ceiling repair can help us key in on areas of the roof that may have been previously repaired. We also check the outside eaves and roof overhangs. We will look for any water damaged that may indicate there's an active roof leak. A roof leaking at the edge will sometimes show up as some dry rot to the fascia or eave boards. It is important that this is recognized. Simply fixing boards is sometimes just fixing a symptom. The final phase of the professional roof inspection is getting on top of the roof and walking the entire surface being very careful s to make sure not to damage anything. I check all the plumbing and heating flashings, valleys, tin runs, skylight, chimneys and fireplaces, and gutters. I know what to look for. If you are a existing home owner and you would like to know an honest and straight forward opinion on your roof then please give us a call. Roof repair is what we specialize in. I have been doing roof repairs ever since I started in this business and my passion lies in finding and solving difficult roof leaks. It just something I like to do. I have personally trained every person that works at my company. The techniques we used are based on consistently improving the methods we use to find and repair roof leaks so that we can do it more efficiently and offer a longer and more comprehensive leak repair warranty. If you hire South County Roofing to repair, inspect, or tune up your roof you are guaranteed the job will be clean, the workmanship will be excellent, and the roofing materials used will be of the highest quality. We don't skimp on anything and we never take short cuts. I believe if a job is worth doing then it's worth doing it right. I am personally involved in just about every repair we do in one way or another. We only work in Orange County so I will always be easy to get a hold of and get out to your home is there's ever any question about the work. Broken roofing tiles left unchecked will cause roof leaks and roof leaks are much more expensive to fix than broken roofing tiles. If you think you may have some broken, cracked, or slipped and displaced roofing tiles on your roof then please give us a call. We will come out to your home free of charge and give you and honest assessment of your tile roof and only recommend needed maintenance. We work on all type of tile roofs such as: concrete tiles, Spanish clay tiles, flat tiles roofing, steel tile roofs, slate roofing tiles, and both light weight and standard concrete tile roofs. No matter what type of tile you have on your roof we have fixed hundreds of times. Call the tile roof repair experts today and get your roof fixed tomorrow. Having us repair or tune up your roof is a different from having just any roofing company working on your roof. Most roofing contractors have a goal to sell you a repair and get it done as profitably (quickly) as possible. When talking to or hiring other roofers you will notice they will often refer to the cause of the roof leak as maybe being here or there, or that they have no idea of what the problem is or what is causing it. We have the experience and knowledge to find the leak source, photograph it, and we will put the roof back together in a manner that will make it so that the area of our repair will be the last area on your roof to leak again. We do not patch roofs we make permanent repairs to your roof that we will stand behind with a water proof warranty.